Invisible Loom Innovative Patterns for Loom Knitters: New pattern, sale, and summer looming! New pattern, sale, and summer looming! I'm very happy to introduce a new pattern called "Leafing". Part cowl, part shawl, and all fun. Leafing is scarf that likes to be worn in different ways. Lace it up, add beads, pin it together – there is no wrong way to wear Leafing. This pattern uses a 1/2 inch gauge loom with at least 90 pegs. 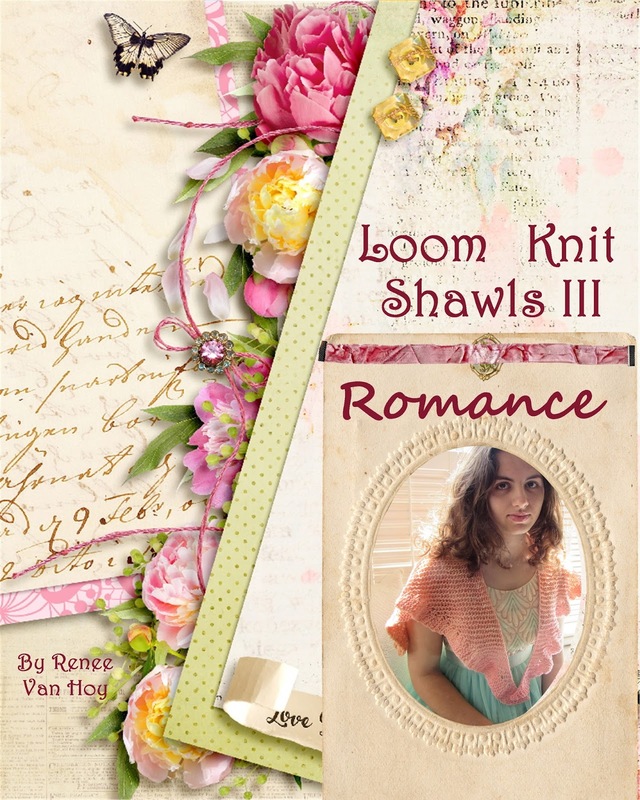 The Ravelry Loom Knitter's group is hosting their bi-annual "Looms in Bloom" event (more about that below). 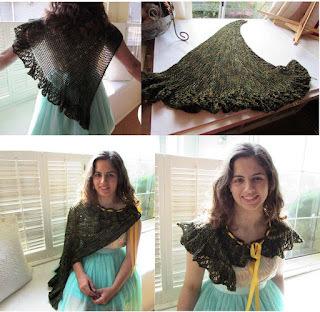 As a tie in, the Loom-a-long group is hosting my Travel by Rail Shawl as the July loom-a-long pattern. Through July, 2015, I'm offering the Travel by Rail pattern collection for $7.50. This includes the Travel by Rail Beret and Travel by Rail Cuffs as well as the Travel by Rail Shawl. To get the special collection price, simply add all three patterns to your shopping cart on Ravelry, and the discount will be applied. It also includes prior pattern purchases, so if you already some of the patterns, you can get the others at the discount price. 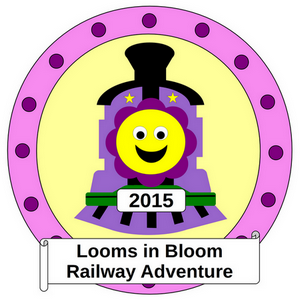 Looms in Bloom will be starting in just a few days. We've already begun the previews, and it looks to be a wonderful trip. We are traveling by "virtual" rail all over the globe with our looms and yarn, challenging ourselves to make projects. It is all in fun, but what fun it is! There will also be a great Traveler's Bazaar on July 3rd and 4th, as well as a daily tea to relax and visit with your friends. Please come join us on for this wonderful event. Is your leafing pattern good for a beginner? Leafing is not a good beginner pattern. While it is not difficult, it has more advanced techniques such as short rows and lace work.